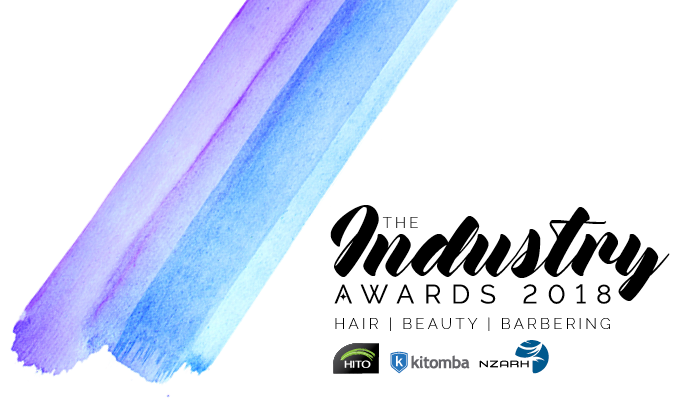 Finalists have been announced for The Industry Awards, which celebrate the talent in New Zealand’s hair, beauty and barbering industries. Hundreds of entries were received for the awards, which recognise business success, exceptional training, creative skills and excellent apprentices. The winners will be announced on November 11th at The Industry Awards, an annual glamourous ceremony at the Cordis Hotel, Auckland. The awards are jointly hosted by the New Zealand Hair and Beauty Industry Training Organisation (HITO), Kitomba Salon & Spa Software and the New Zealand Association of Registered Hairdressers. The winners will be announced at The Industry Awards event on the 11th of November 2018. The event is being held at the Cordis Hotel in Auckland. To attend, purchase your tickets now.